Ruth Headington, Liber Cemetery, Jay County, Indiana. This is the tombstone of Ruth Headington, located in Liber Cemetery, Wayne Township, Jay County, Indiana. The tombstone is inscribed RUTH, Consort of Nicholas Headington, Died Dec 1, 1865, Aged 71 Ys, 4 Ms, 25 Ds. 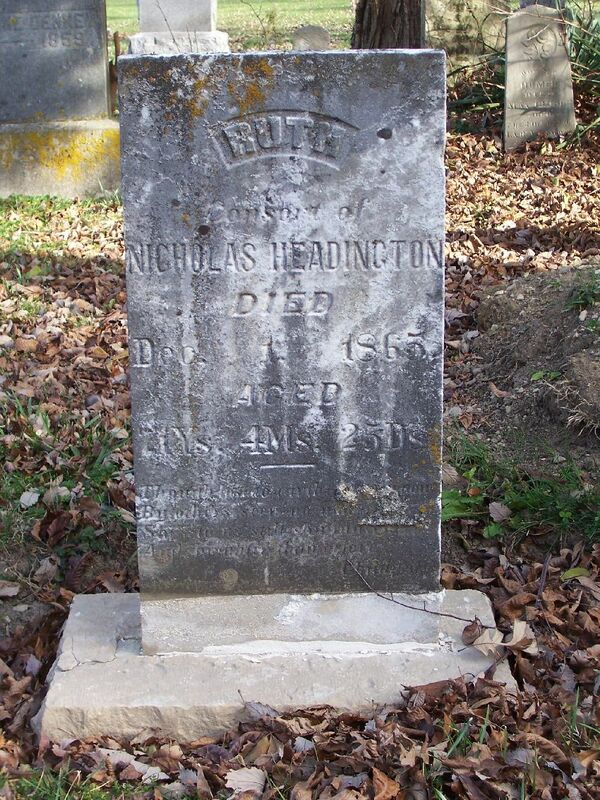 She is buried next to her husband Nicholas and their son Washington Headington is buried on the other side of Nicholas. Her date of birth would be 6 Jul 1794, as calculated from her tombstone. I occasionally see the term consort on a tombstone. According to the Miriam Webster Dictionary it means spouse. The following are some biographical sketches that mention Ruth (Phillips) Headington. That last sentence got my attention. I have read this biography several times but never noticed that it mentioned that Ruth’s widowed mother came with the family to Ohio. Family history says that Ruth’s mother was Catherine (Frizzell) Phillips. I took a chance and looked on Find a Grave for a Catherine Phillips that died in Ohio after 1823. I got lucky, thanks to those that submit photos and information to Find a Grave.com. 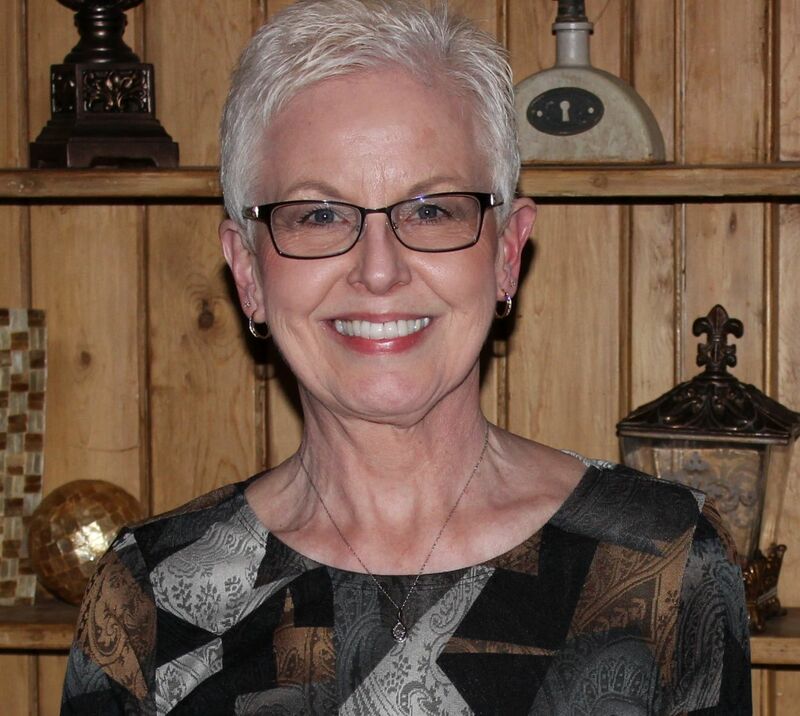 I found a memorial on the website and it looks very promising as Ruth’s mother. The grave marker reads, Catherine Frizzell Phillips, wife of J. Phillips, died 26 July 1840, age 72 years, 7 months and 5 days. Her date of birth would be 21 December 1767. She is buried in Berlin Church Cemetery, Knox County, Ohio. There is even a photograph of her tombstone on their website. Thank you Find A Grave! There are quite a few Phillips buried in Berlin Church Cemetery and two Headingtons. Transcription of Baltimore County Marriages Licenses, January 1800-December 1816, on-line database, US GenWeb Baltimore County Site, Rootsweb/Ancestry.com, (http://www.rootsweb.ancestry.com/~mdbaltim/marlic/groom_h.htm : accessed 23 September 2012). Biographical and Historical Record of Jay and Blackford Counties, Indiana, (Chicago, Illinois: The Lewis Publishing Company, 1887), 437. Will Cumback and J.B. Maynard, editors, Men of Progress. Indiana, (Indianapolis, Indiana: Hugh J. McGrath & William Stoddard, Publishers, 1899), 142. Memorial No. 39059921, Catherine Frizzell Phillips, Find A Grave.com (http://www.findagrave.com/cgi-bin/fg.cgi?page=gr&GSln=phillips&GSfn=catherine&GSby=1767&GSbyrel=in&GSdy=1840&GSdyrel=in&GSst=37&GScnty=2081&GScntry=4&GSob=n&GRid=39059921&df=all& : accessed 30 September 2012).